Windows 8 is far from long in the tooth, but that hasn’t stopped Microsoft from getting the ball rolling on the next release of its ever popular operating system. Windows 8.1, codenamed Windows Blue, is penciled in for a release later this year, with testing still ongoing inside Microsoft. With leaks of screenshots cropping up left and right, Microsoft is clearly gearing up on the old release front, and we’ve no doubt you’ve all been asking the same thing that we have: when will we get to see more of what Microsoft has in store n the form of Windows 8.1? During the Wired Business Conference in New York City, Julie Larson-Green shared that Microsoft is to make a version of Windows 8.1 available as a public preview during the company’s BUILD conference. Set to take place between June 26th and 28th, BUILD is a conference designed for software developers, similar to Apple’s WWDC. The event would make a great platform for Microsoft to share more information on Windows 8.1, and the Redmond based firm does like to release public previews available at some point during a big release’s development cycle. Microsoft’s Windows 8.1 is expected to offer a few cosmetic flourishes as well as some minor feature updates that will no doubt prove popular amongst those that use them. Everyone else may be left wondering what all the fuss is about, but then again, we’re playing the guessing game until more concrete details are made available. Windows 8.1 may be around the corner, but its predecessor is still fighting to get a foothold in the same way that Windows Vista did. Arguably due to its more touch-focused interface, Windows 8 has not captured the imagination of the masses so far and some are even going so far as to denounce the operating system as Windows Vista MK2. That’s damning criticism right there! Microsoft will be hoping its replacement will prove more popular in the short term, but it is quite possible the company may need to add a little more of the Windows 7 to its Windows 8 concoction if it is to regain the confidence of punters the world over. Having sold more than 100 million Windows 8 licences to date, it’s pretty safe to say that Microsoft’s OS is doing great. But will Windows 8.1 improve those numbers? 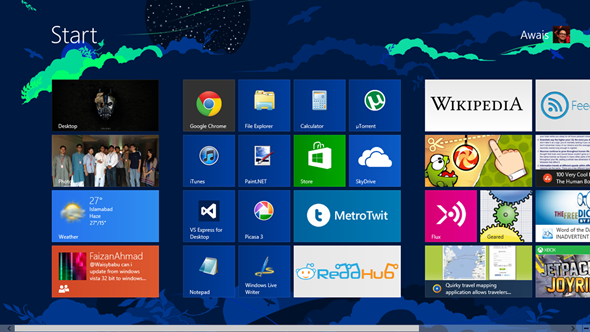 Maybe Microsoft will add that missing Start button back in Windows 8.1? Who knows! Speculation doesn’t hurt now does it?